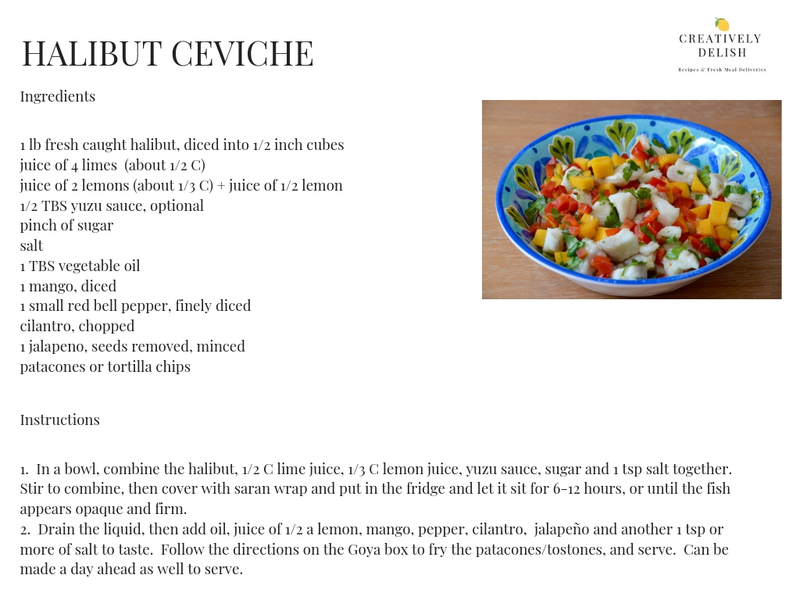 Ceviche is a quintessential island dish that is great for hot days when you couldn't even fathom eating something hot! I've tried a lot of ceviche in my short 32 years on this planet, and not one has ever disappointed me. Whether it's squid, shrimp, scallop, fish or conch ceviche, I've tried them all and all were amazing. Ceviche is my absolute favorite dish to enjoy when on vacation in some tropical place far, far away, and for so long, I never knew just how easy it is to make on your own! Last year, while down in Costa Rica, I had the opportunity to get a lesson in ceviche from a local tica named Shirley. She showed me that by using just a few simple steps, you can make a delicious ceviche that is perfect as a lunch or appetizer. 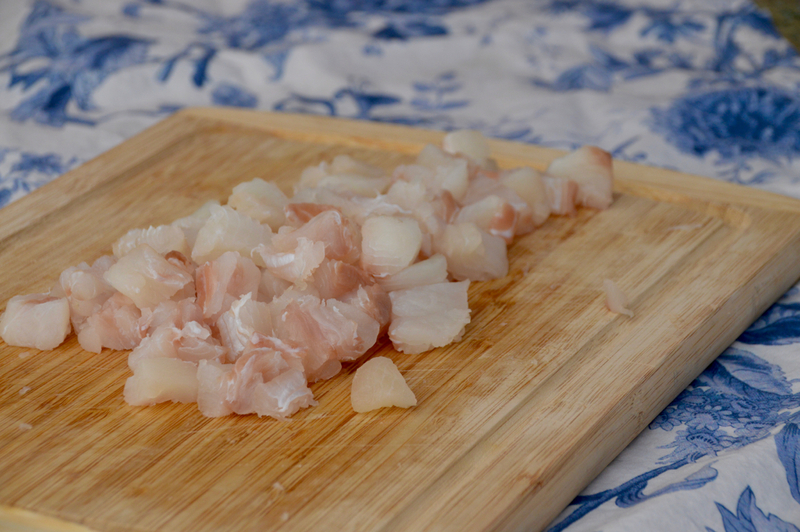 In this recipe, we are going to make ceviche using halibut, a native Cape Cod fish. I had never thought to use halibut for ceviche, because generally it is done with mahi mahi, but after talking to the chef over at Fisherman's View Restaurant in Sandwich, MA, I learned that halibut can make a great fish for ceviche. It has a firm, white and flakey meat, making it perfect to hold up and not crumble into too-tiny pieces. Ceviche is fish that has been "cooked" with a method of using acid instead of heat, using lemons and limes. 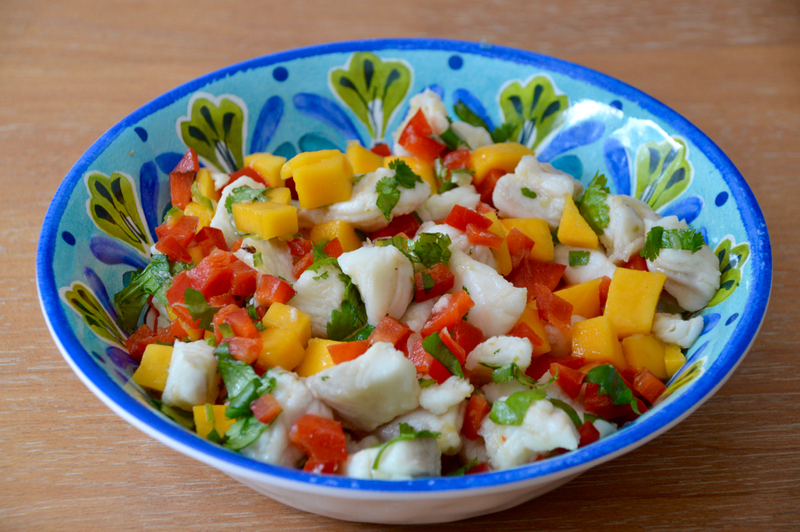 You usually see ceviche made with mahi, but there is also shrimp, squid or scallop ceviche as well, to name a few. The acids in the lemons and limes cook the fish, while giving it a tangy flavor. Next you'll want to add in a little sweetness to balance out that tangy taste, and a little kick of spice if you like spice (which I do!). 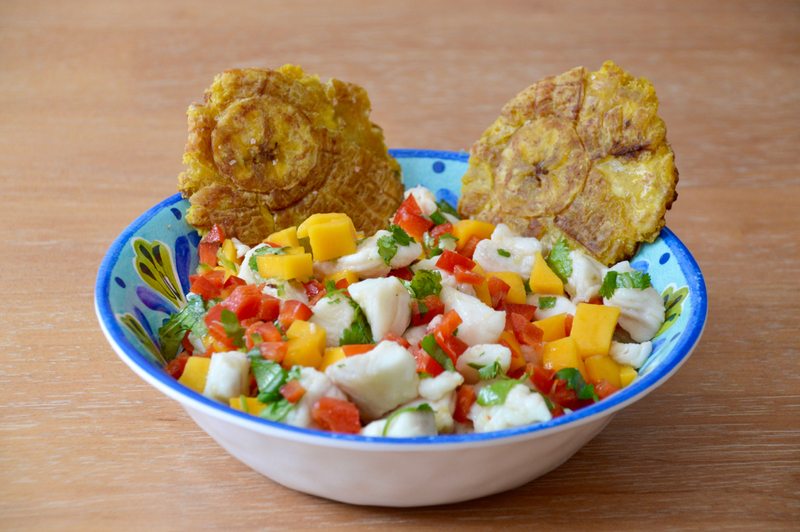 You'll also find cilantro, onion, red pepper, mango, pineapple and plantains in some ceviches as well, among many other ingredients. In Costa Rica, ceviche is served with either homemade tortilla chips or, my favorite, patacones. Patacones are green plantains that are not ripe enough to fry and have that sweet taste, and instead are boiled then salted, smashed and fried into tortilla shapes, so that you can pile on all that yummy ceviche and have a very authentic ceviche experience. 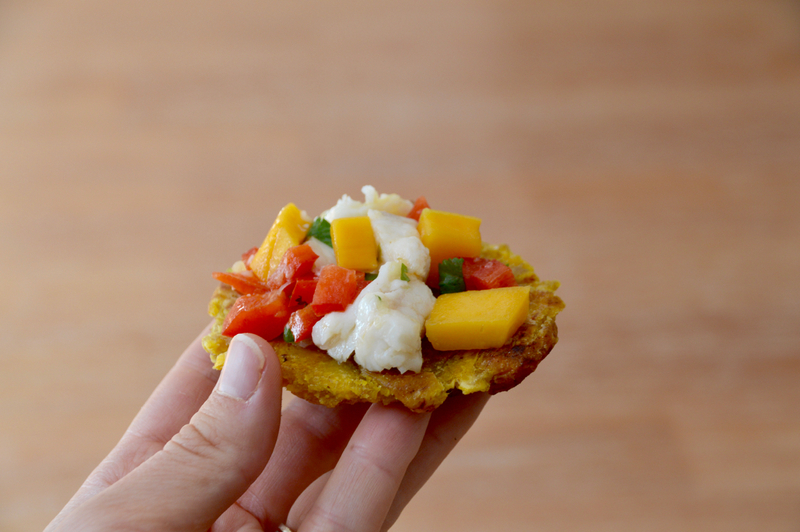 I am quite certain that about 99% of you out there are not going to make patacones from home, which is why I am recommending you find the Goya freezer section and pick yourself up a box of Tostones, which are basically the same thing. Fry them up in a pan with a little oil and some salt (the salt is important), and voila - a lot less work and still pretty yummy. First, start by selecting a fresh piece of sushi-grade white fish, such as halibut or mahi. Ask your local fishmonger for the best available cut, and have them take the skin off for you. As I mentioned in the beginning of this post, here on Cape Cod we are able to get freshly caught and never frozen halibut, so this makes a good choice. Mahi is the general type of fish you'll see in ceviche, but try to get creative and utilize what is local to you! When you get home, dice your fish up into smaller bite size pieces, then put it into a bowl. Halibut or Mahi are good choices because they have a firm texture that doesn't easily fall apart. Striped bass could also be an interesting fish to try for ceviche as well. 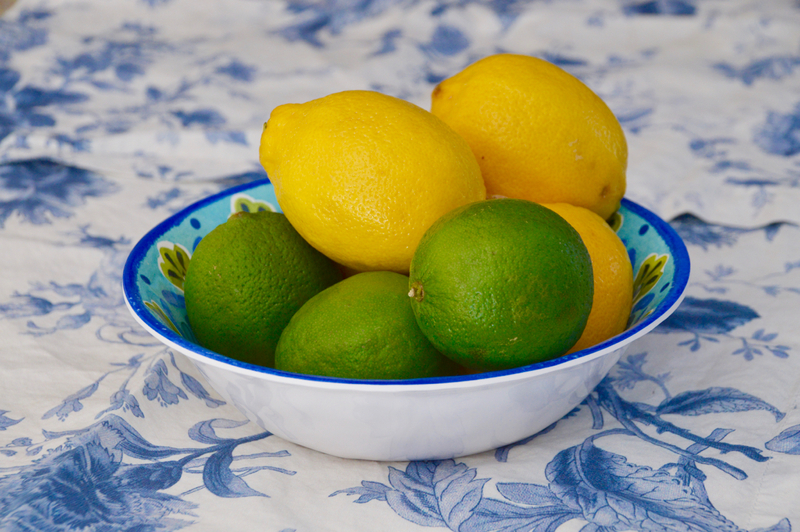 Using a juicer, squeeze the juice out of three to four limes and one to two lemons, making enough juice to completely cover the fish in the bowl. Next, add a little touch of hot sauce to the juice mixture, a pinch of sugar and a dash of salt, stir to combine, then cover and put in the fridge for 6 hours or up to one day, stirring occasionally, until the fish appears opaque. The timing will vary based on how big the pieces of fish are. Mine was done after about 10 hours, but I didn't serve it until 14 hours later and it was still wonderful - you can serve this up to 24 hours after you make it! The flavors in a ceviche can be different every time. 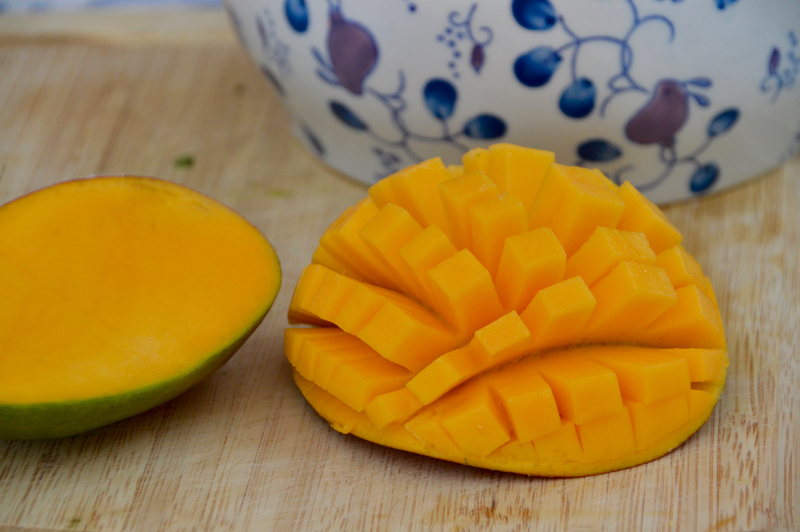 You can put some diced mango in to add a touch of sweetness to offset the minced jalapeño like we did in this recipe, or you could try some finely diced cucumber, onion and tomato for another take on the dish. The choices are endless! Once the fish has cooked through, drain the liquid and add diced mango, red pepper, minced jalapeño and fresh cilantro. Drizzle the juice from half of a lemon or lime over, add 1 tablespoon of oil and a sprinkle of salt to taste, then serve it in a bowl with some fried patacones. Sooooooo good! I hope you give this one a try! You can check out the recipe below or click here to print! This recipe is enough to serve 3-4 people as an app and will take about 20 minutes of prep work and 6-12 hours to sit in the fridge.